Rejoice Hero owners around Europe – your time has come. 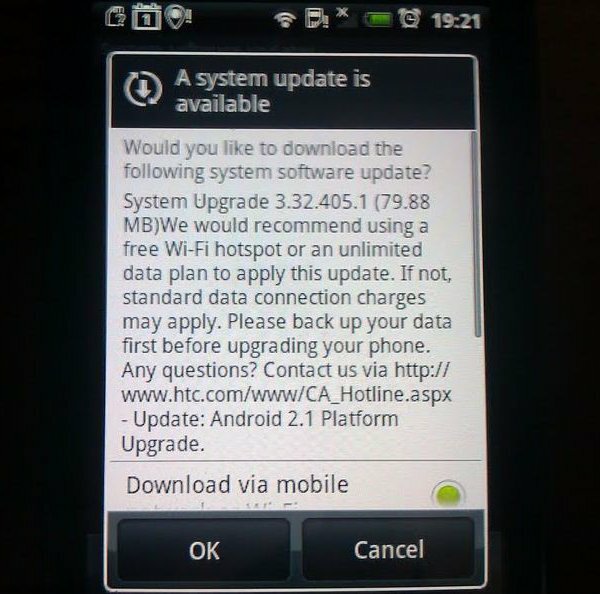 After several months, a dozen of broken promises on the HTC side, the Eclair 2.1 update is finally making its way to unlocked Hero units around the old continent. As we speak an 80 MB update is being pushed to devices purchased SIM free across Europe. It can be downloaded directly from the phone through your carrier’s network or you can use a Wi-Fi network. The carrier-sold Heros will have to wait a while longer to get to Eclair station but it can’t really be too long now. So now that this saga has ended, maybe it’s time for the Android 2.2 Froyo to be pushed to the Desire. HTC will be good this time and will make this one quick, right? Right?